Click here for tickets to Lecture. Click here to sign up for Webinar. In the most shocking and important seminar you will ever hear on the UFO/ ET subject, Dr. Steven Greer will present the history, methods and plans for a staged, covert Cosmic 911. What you learn will disturb you. It will enlighten you. But be prepared- this information will be shocking and true. Knowledge is power: This means by knowing of these nefarious plans, we can avert them! This is the event you absolutely do not want to miss! 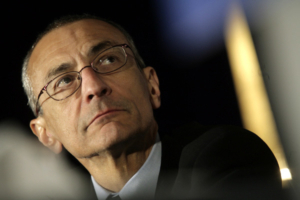 > How the false alien threat has already been hoaxed- and how this has been accomplished. Names will be named: You will learn how the deep national security state and covert military operations have staged false Alien Abductions, Mutilations- and what technologies have been used. 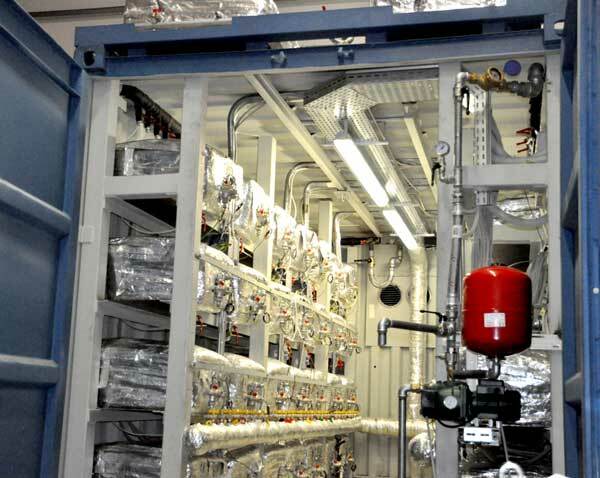 > What technologies have been developed since the 1940s that enable para-military Unacknowledged Special Access Projects (USAPs) to affect consciousness, stage false Alien events and plant the seeds of fear to justify a scripted Armageddon ! > How man-made UFOs, hollywood-style staging and very advanced electronic warfare systems enable USAPs to stage abductions, mutilations and other false-flag events – and how these have conditioned and prepared the world through the fear of Aliens for the coming hoax of an official Alien Threat. > New Official Air Force whistle-blower testimony confirms the false flag plan and the intent to achieve it! > The emergence by 1956 of advanced electronic warfare technologies that affect consciousness- and how these pscho-tronics can give the target (victim) ANY experience that is scripted. >What you need to know to differentiate between the hoaxed versus actual ET presence- and how we can go forward to create a civilization on Earth founded on the principles of Universal Peace. Click on the graphic above to sign up for the webinar. An uplifting international conference focusing on the Evolution of Human Consciousness. Contact and Higher States of Consciousness. -Why it is essential for critical mass of many of us to become Spirit warriors to effect change and overcome the current suppression of ET contact, free energy technologies and create a new Universal Peaceful Civilization on Earth in our lifetime! Click on the webinar graphic to sign up for webinar. Click on the conference graphic for details about the conference. 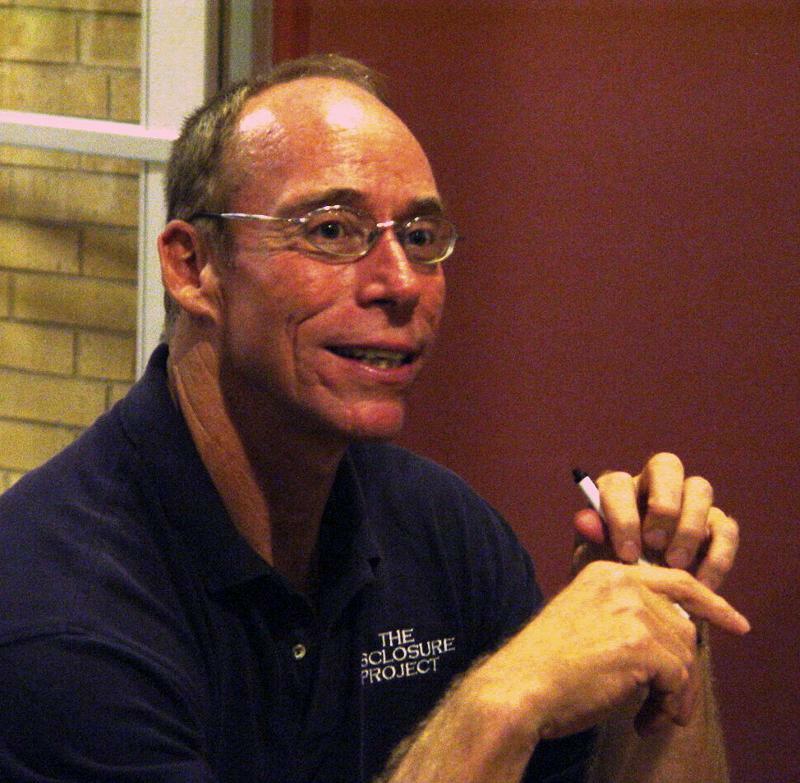 The Special appearance by Dr. Greer will be Saturday November 12th 2016 at 1:00 Pm to 3:00 Pm. GCH is a weekly CBS radio show and podcast where Blakeway and her guests talk about how to grow your own food. Cook and nourish the people you love. And heal yourself as naturally as possible. Dr. Greer will be speaking twice at New Living Expo. Extraordinary Weekend with Dr. Greer! Join Dr. Greer for a riveting 2 hours discussing the importance of Cosmic Consciousness, Vedic Remote Viewing, the experiences of the Contact groups that have been making contact for over 25 years – and the promise this holds for Universal Peace. Share in the vision of what the next 500,000 years of human evolution will look like! We are happy to announce the Global CE-5 Initiative Day on The first Saturday of each month. Join others worldwide who want to unite in consciousness to reach out to the stars in Universal Peace. Now is the time to magnify global coherence by all of us coming together in higher consciousness in a way that can move the world and humanity onto the path of Universal Peace. Get together with your existing group, or form a group of your own to reach out to the ETs with your intent for peaceful contact. Click here to reserve your spot for the Webinar! We have been following this inventor’s work for many years and it is promising that an apparent tangible new energy device has been developed. Over 50 years ago the NSA confirmed coded ET signals and made a report on it. An extraordinary opportunity to be out under the stars with Dr. Greer in beautiful Portugal. Please join us for a week. You are invited to Join Dr. Steven Greer for a special 4 hour training on how Remote Viewing works using the mind’s ability to connect to Cosmic Consciousness and higher states of awareness. By experiencing the quiet, expanded state of awareness, an individual can see or sense remote places and times. This ability, innate to human consciousness , enables us to Contact advanced interstellar civilizations using the non-local, universal aspect of our own minds. Click here to purchase the Webinar! 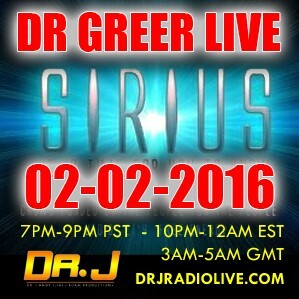 Dr. J Radio Welcomes back Dr. Greer! Don’t miss the latest interview with Dr. Steven Greer on Dr. J Radio, part of the Dark Matter radio network, Airing April 2, 2015 at 10pm! To listen to this entire interview FREE, click here now! You are invited to an afternoon workshop training intensive with Dr. Steven Greer on how to make Contact using the CE-5 protocols and what the implications are for global Disclosure when thousands of people are making Contact. Dr. Greer will share the amazing collection of CE-5 ET Contact photos and videos and describe what REALLY happens as Contact is occurring. He will describe the techniques of remote viewing and Contact vectoring that are used in the CE-5 Initiative and teach the mediation technique and approach so YOU can start your own CE-5 Contact Team! 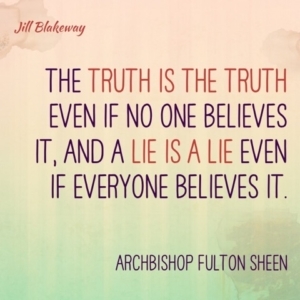 UFO/ET secrecy is complex and so is an effective strategy for Disclosure. 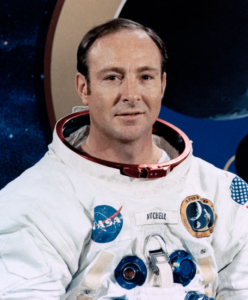 Dr. Greer has been working on resolving this problem since the early 1990s when he started meeting with top secret military and government witnesses and holding government briefings including the 1993 meeting with then CIA Director, James Woolsey and other meetings with numerous members of Congress and very senior Pentagon officials. There is a military/government strategy that the format of this letter follows. Please read it and the follow up letter carefully. (Click here for UNOD letter. Click here for follow up letter.) 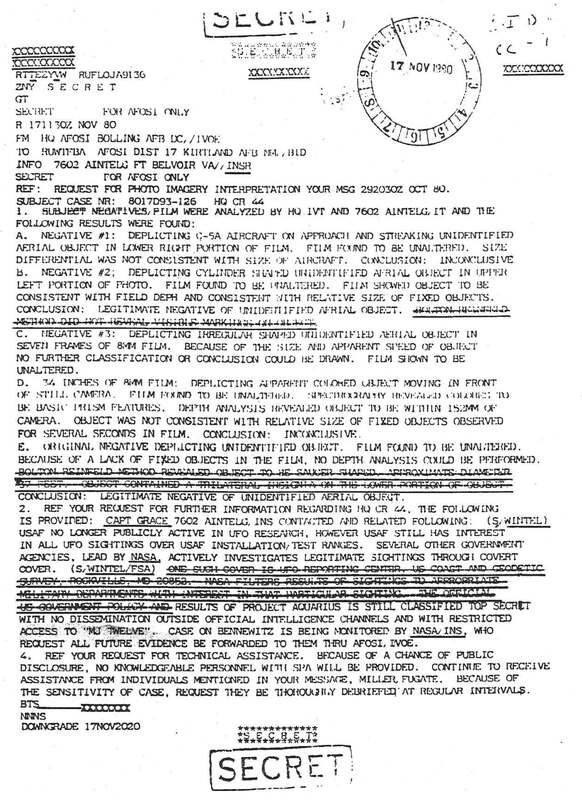 This type of letter states that , “Unless Otherwise Directed” one may legally proceed with the actions presented in the letter with the implied consent of those receiving the letter – in this case the declaration that the secrecy oaths of those involved with unacknowledged, constitutionally illegal UFO projects were themselves null and void and that military and government top secret witnesses and documents could be disclosed without penalty. Since the underlying projects themselves were managed illegally – and we proceeded as if they were- – then witnesses to those projects were free to speak publicly about them without legal repercussions or violations of the secrecy laws. 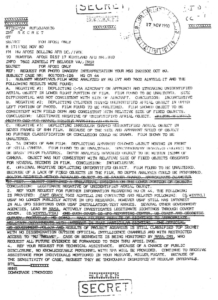 The UNOD letter was written in November 1996. The follow-up letter was written January 1, 1997. 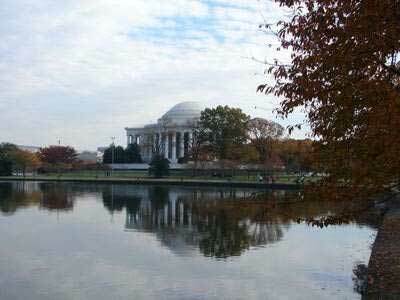 In April of 1997, Dr. Greer held the first of several Disclosure conferences in Washington DC . This first one was for members of Congress, the Pentagon and officials in the Clinton administration. At that time it was not called “The Disclosure Project” but was called “Project Starlight”. Special DC Afternoon Workshop with Dr. Greer! The history you have never heard. 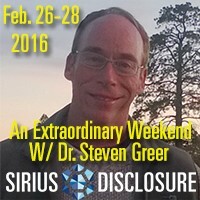 Dr. Steven Greer is recognized as the father of the modern Disclosure movement. Find out the real story behind Disclosure. 3) The collaboration with Steve Alten, New York Times best selling author. Click here). Don’t miss the latest interview with Dr. Steven Greer on Dr. J Radio, part of the Dark Matter radio network! Dr. Steven Greer: “The MJ-12 papers is a contingency plan to test the public’s reaction to the information. Listen as John and Dr. Greer discuss the discovery of new documents relating to Disclosure, are they new information, or dis-information? 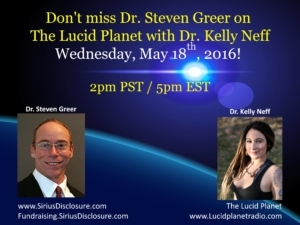 Don’t miss Dr. Greer and John B. Wells on Caravan To Midnight! I would like to thank all of your for your support during the past year. 2014 was a year that saw many challenges, first with my dear friend Carol DeLuca being diagnosed with Stage 4 breast cancer and then in June my beloved wife Emily being stricken with Stage 4 Lymphoma. Dr. Greer is pleased to appear on this very special episode of Conscious Evolution Radio with Ann Gelsheimer. 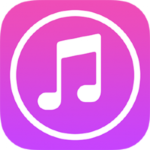 will be available for people to listen to anytime and also there will be the option of downloading the interview through iTunes. Now in the Sirius Disclosure Store, get 50% off the National Press Club DVD with purchase of ANY Book! Now on Sale, Sirius and more! Now in the Sirius Disclosure Store, get 50% off the documentary Sirius, or for as low as $4.99 with purchase of a special combo deal! 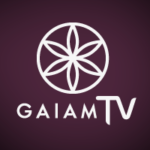 Sirius can now be discovered on @GaiamTV! You can also find it on iTunes, Xbox, Amazon, and through your local cable provider. I invite you to watch Sirius through these convenient channels. Click here to read the full scientific article! -The Crossing Point of Light – The new physics of interstellar travel and communication and how it relates to thought and consciousness. -Why the key to contact with ETs is understanding the nature of mind, thought and trans-dimensional physics. 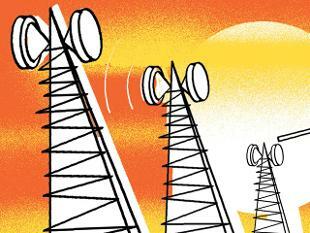 – How you can learn the skills for making Contact and more. We have received a new Air Force Office of Special Investigations document that mentions Project Aquarius. This document arrived June 4, 2014 and is from a highly credible source. The document also mentions Majestic Twelve and other operations as well as the analysis of a number of films and pictures of UFOs. It also admits that the US Air Force uses various “covers” for collecting UFO reports. including the UFO reporting center. Tune in tonight from 10:30 pm-12:30 am and hear Dr. Greer on Jimmy Church Radio, part of Art Bell’s, Dark Matter Radio Network! 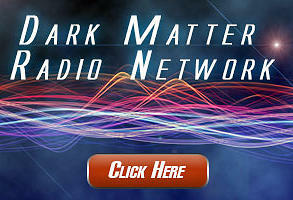 Go to: www.jimmychurchradio.com and click on the ‘LIVE FEED’ icon that says DARK MATTER RADIO. Don’t forget to Tweet #DMRadionet and you can pop into the Twitter feed, hang out and ask questions of Jimmy and Dr. Greer! Click to the right to head over to the show! 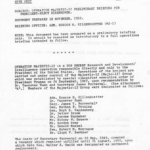 On May 21, 2014, we received a cache of Top Secret documents related to “Project Aquarius” , a purported Majestic 12 (MJ-12) covert project related to UFOs/ETs. Dr. Greer live this Thursday 8-9pm ET on Thirdphaseofmoon radio on Revolution Radio Studio A; listen live directly by CLICKING HERE. Or listen via live365, speaker or the station directly at www.revolution-radio.com studio A. And watch out for an amazing video of the interview on the Thirdphaseofmoon YouTube channel within a week of airing! 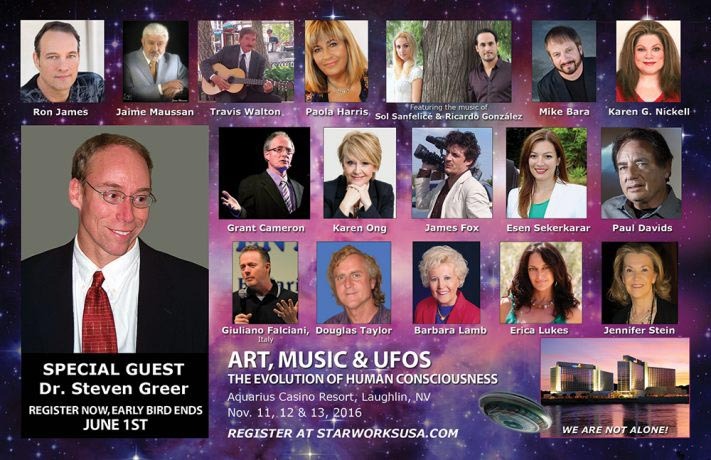 This is an extraordinary opportunity to spend time with Dr. Greer. On the one year anniversary of the launch of “Sirius”, I would like to thank all of you for your continued support, which has made “Sirius” the most successful crowd funded documentary film in history! 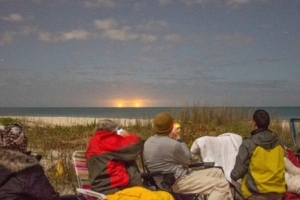 Original CSETI/Disclosure Project Board member and long-time friend L. Carol DeLuca has been diagnosed with metastatic breast cancer that is now in multiple places throughout her body. Dr. Greer is pleased to appear on Cosmic Truth with Janine Regan-Sinclair. The show will be available on March 12, 2014 live at 1pm EST and will be available to listen anytime after in the archive at 2pm EST. Anyone may listen in live or after the show. Instructions for listening live can be found by visiting this direct link to the location of the live broadcast, which will be the same link to follow if you choose to listen after it airs. We thank Janine and Cosmic Truth! UPDATE: Cosmic Truth has moved to YouTube! Click below! 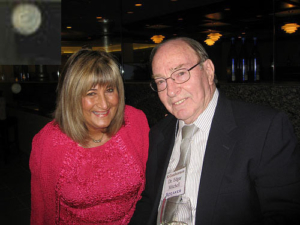 Don’t miss the newest interview with Dr. Greer on, The Unexplained with Howard Hughes. Available via podcast from iTunes, or streaming directly at www.TheUnexplained.tv. 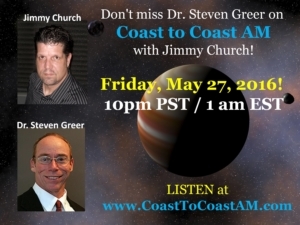 Don’t miss Dr. Steven Greer on, Fade To Black with Jimmy Church. Airing Live on Art Bell’s newly minted, Dark Matter Radio Network, Jan. 29, 2014 from 7-8:30 pm PST. Listen live, or stream by clicking below. 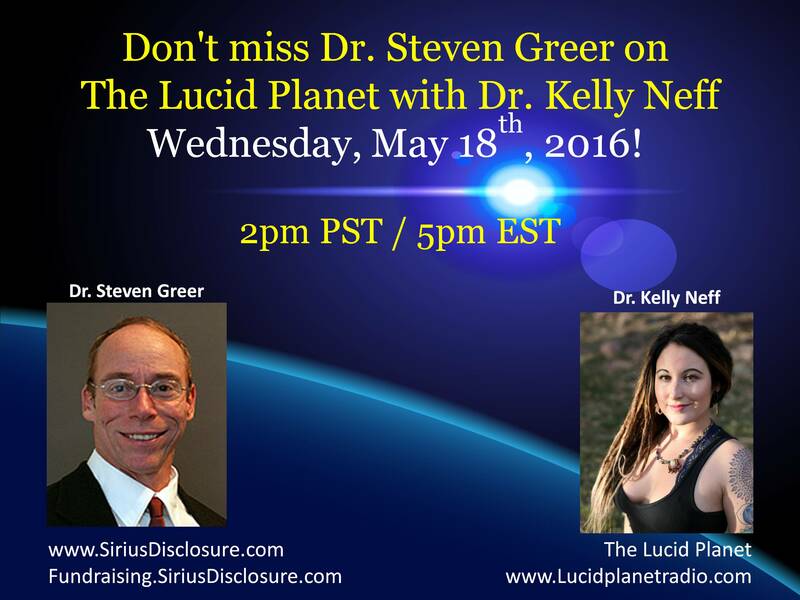 Don’t miss Dr. Steven Greer on, Breaking The Set with Abby Martin. The show is scheduled to air this Friday, January 10, 2014 at 6 pm EST. If your cable or satellite provider does not offer RT, simply click the image below to stream from free in a new window. 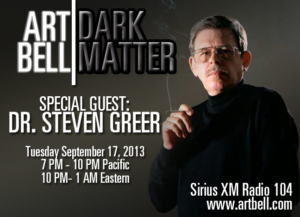 Art Bell celebrates his triumphant return to talk radio with a special three hour interview with Dr. Steven Greer. 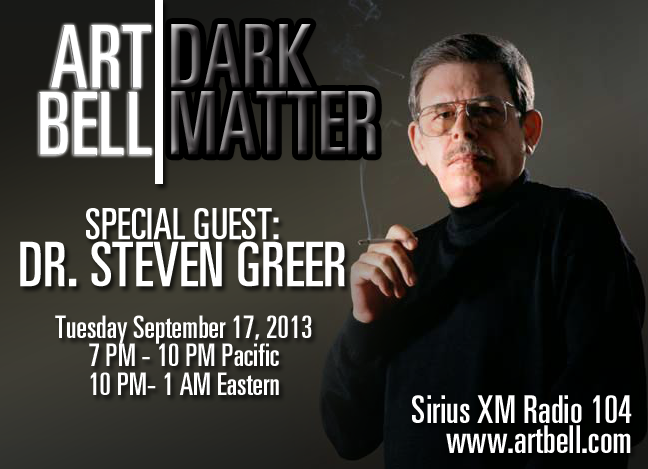 Tune in to Sirius XM 104 tonight (September 17, 2013) at 7 PM Pacific (10 PM Eastern) or go to www.artbell.com. 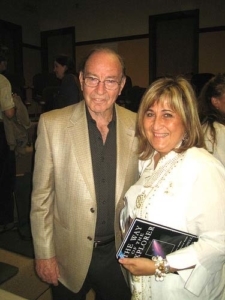 Dr. Greer hosted a CE-5 event on the Gold Coast in Australia, August 17th and 18th. 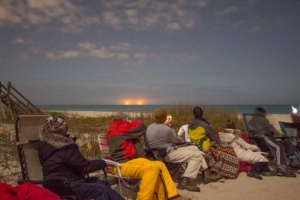 You can see the incredible pictures from it on the SMERF website. 7 PM, August 16th, 2013 Bond University on the Gold Coast Basil Sellers Theater Tickets: $50 USD Click here for more information and tickets. 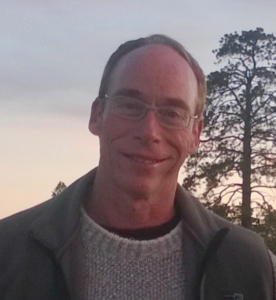 At the MUFON Symposium in Las Vegas (July 18 – 21), Dr. Steven Greer will be featured as a speaker on July 20th. Later that night, he will personally host a screening of ‘Sirius.’ General Admission: $10 VIP: $50 Click here for more information and tickets. Thanks to everyone’s enthusiastic response, tickets for the main theater for the World Premiere on April 22nd are sold out. However, we have confirmed a second theater in the same complex. Limited seating available, so get them fast! Click here for tickets. Photos of Dr. Greer and Actor Thomas Jane here! Follow Dr. Greer on Twitter for updates like this and more! 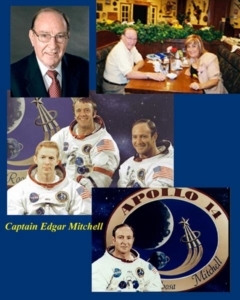 These two MDs have had transformative experiences as they pursue interaction with Extraterrestrial civilizations. Listen to this intense discussion as they share their very personal experiences during CE-5 Expeditions and beyond.